K. Sudhakaran Kerala member of parliament (MP) profile and biography is given here. K. Sudhakaran is a politician and a social activist from the state of Kerala. He is an active member of Indian National Congress who has single-handedly revived the fortunes of the party in Kannur district. He was a Member of Kerala Legislative Assembly for a period of 17 years. He was a State Minister for a period of four years. He became the Member of Lok Sabha in 2009. K.Sudhakaran is an Indian politician from the state of Kerala. He is a member of the Indian National Congress (INC), the grand old political party in the country. Currently, he is a Member of Parliament, representing the Kannur Lok Sabha Constituency in the state of Kerala. To his credit, he has played a pivotal role in setting up of the congress party in the Kannur district against the tactics of the Communist Party of India (Marxist) party. Due to his leadership and the unrelenting support of his followers, he was given a ticket to contest in the general election in the year 2009. Cashing his support from his constituency, he won the general election to reach the parliament to represent his people there. K. Sudhakaran was born on May 11, 1968 in a remote village hamlet in the district of Kannur in the Northern Kerala. His full name is Kumbakudi Sudhakaran. His parents were V. Ramunni and K. Madhavi. He was initiated into the world of letter by his parents. After that ceremony, he was put in a local school to enable him undergo formal education. Subsequently, he was enrolled in a government high school to help him continue the education up to the tenth class. During this period, he started to show interest in the political activity that was happening in his school premises. As a child, he used to wonder what the senior students and their compatriots from outside organize in the school premises. Since the instructions from the house were not to heed any hearing to the topics that were not related to the studies, the young Sudhakaran concentrated on his studies at the school. However, his curiosity for the events that were taking part in the school overtook him and forced him to gather the information from his peers in the house. Since the extent of participation in the political activity was less, he concentrated more on his studies. Due to this reason, he was able to get good marks and grades for his SSLC examination. After successfully passing the SSLC examination, he joined a junior college for taking up a pre-degree course. For his pre-degree course, he carefully chose subjects that require his minimum presence in the classroom, as he had by then begun to increase his participation in the political activities that were happening in the state. There were many sympathizers for his cause of participation in the classroom. This enabled him to compensate for the lost classes during his absence. These peers helped him with the class notes to help him learn those topics well. By this time, he started sailing in the same boat as those who had an affiliation to Janatha Dal ideology. Despite his growing participation in the political struggle that were happening in the state for various causes, he could cover the subjects taught in time for the pre-degree examination and do well in that. When the examination result was published, he was among the people who had cleared the exams well. Subsequently, he enrolled himself for a degree course at a government college in the Kannur city in North Kerala. He continued his rendezvous with the political struggles during his degree college days as well. The careful choice of subjects at the degree level ensured him to remain current with the topics covered in the classroom despite his growing participation in the political movements in the state. Moreover, he found enough time to visit the library to read books. His growing dependence on books during the leisure time enabled him to assimilate knowledge about the history of Kerala and the psychology of the people there. This enabled him to become the mass leader representing the people of his home district Kannur. The young Sudhakaran was thus able to prepare well for the examination in time. He wrote the exam well and fetched good marks for that. Emboldened by his success in the degree examination, K. Sudhakaran drew enough courage to join for a postgraduate degree course in Kozhikode University campus. His life in the Kozhikode University campus gave necessary impetus to launch his political career with the Janatha Dal party in the state. In the university campus, he happened to meet various student leaders who had close ties with the think tanks of the party establishment. This enabled him to get closer to the ideology of Janata Dal and the party's stand on various issues pertaining to the Kerala state. Due to his dependence of the university library, he was able to remain current with the various topics that he was supposed to know. This enabled him to score good marks in the post graduate examination. After some years, he joined an LLB course to become a practicing Advocate. He successfully passed the professional course leading to his enrollment in the Bar Council of India, Kerala Chapter. Despite his busy schedule, he found time to listen to his parents' request for a marriage. Heeding to their request, he found his future life partner in K. Smitha. With the blessing of his parents and relatives, he married his sweetheart before a huge gathering at a temple premises, following the Hindu traditions. The couple is blessed with two sons. Both are doing well in their lives. K. Sudhakaran took the plunge into the world of politics through his participation in various peoples' movements. He has over 30 years of experience in political activity. He was initially associated with the Janatha Dal party, as he was following the ideology propagated by Dr. Ram Manohar Lohia, Jayaprakash Narayan, etc. These people were making huge political movement in the country at that point in time, against the aristocratic way of functioning of the central government under the leadership of India Gandhi. Following the footsteps of these leaders, he started to work as a youth leader and organized public meetings, dharnas before the government machineries at different points in northern Kerala. After the emergency, the Congress party under the charismatic leader Indira Gandhi mellowed down and a new government was formed at the centre under the leadership of Janatha Dal leaders. However, the first non-Congress government at the centre fell down after two years of governance due to the ideological differences of its core leaders. Along with the government, the Janatha Dal party fell apart and many leaders took shelter in other political parties. Following the same line, young Sudhakaran moved to the Congress party and participated in various events organized by its youth wing Indian Youth Congress. As a youth leader, the young Sudhakaran gave his heart and soul for the development of the party set up in the Kannur district, his home turf. He had to fight all the odds while building the rank and file of the party. Moreover, he had to handle the political manipulations from the cadres of the Communist Party of India (Marxist), which has a huge stake in the district. Many of the leaders of the nascent party setup in the districts were politically attacked or intimidated by the cadres of the Communist Party of India (Marxist). The senior leader of CPI (M) in the state also tried to poach on the bench sitters in the Congress party from the district. The Young Turk in Sudhakaran fought all the odds and kept his supporters motivated to remain within the party folds. He provided his followers suitable posts that were commensurate with their experience and their taste. His efforts at building the party set up in Kannur district against all odds were noticed by the senior functionaries of the Congress party in the state. As a result, he was offered a ticket to fight in the state-level general elections from Kannur Assembly Constituency. In the poll that ensued in that year, he won the assembly seat by defeating his nearest rival from the Communist Party of India (Marxist) by a huge margin of votes. He represented the people of Kannur Constituency twice in Kerala Legislative Assembly. All together, he was at the corridors of power in the state for a period of 17 years from 1992 to 2009. He was the State Minister from 2001 to 2004. As a Minister in the State Government, he was assigned the portfolios such as Forests and Sports. Under his careful guidance, good administrative steps were taken to improve the functioning of these departments. In the year 2009, he was given a party ticket to contest Lok Sabha elections. He was given the permission to contest from Kannur Lok Sabha Constituency. He won that general election by a huge margin, defeating his nearest rival with the help of his followers and friends. 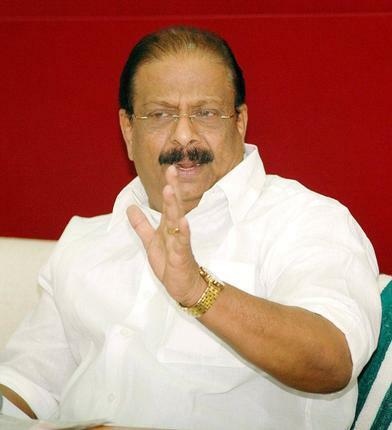 K. Sudhakaran won the Lok Sabha general elections in the year 2009. In that election, he defeated the nearest rival from the Communist Party of India (Marxist) by a huge margin of votes. After winning the Lok Sabha seat, he entered the corridors of power in the centre to represent the people of Kannur Constituency in the state of Kerala. As a young and vibrant Member of Parliament, he actively took part in the deliberations in the House of Commons and highlighted the issues of the people from his constituency. He was able to efficiently utilize the fund earmarked for the development of his constituency under his discretionary quota. Though there may be many claimants for the credit for the development of the constituency, the true man behind its development is K. Sudhakaran. Due to his active participation in the deliberations and his sincere work, he was made a member of few committees. Currently, he is a member of Committee on Public Accounts and Committee on Commerce. K. Sudhakaran is a veteran Congress leader from Kerala. He carved his niche in the political landscape of the state by participating in various political struggles. He single-handedly is responsible for the development of the Kannur District Congress Committee. For developing the party setup and infrastructure, he had to overcome the frequent poaching by the leaders of Kannur district unit of Communist Party of India (Marxist). Weathering all the odds, Sudhakaran toiled hard to keep his flocks together by giving them suitable party posts to them. His contribution at the revival of Kannur District Congress Committee was well acknowledged by the senior party leaders by giving him a chance to become the Member of Kerala Legislative Assembly. He was repeatedly selected from the same constituency for four times. As a result, he was at the corridors of power in the state for about 17 years. Later, he was elected to Lok Sabha.